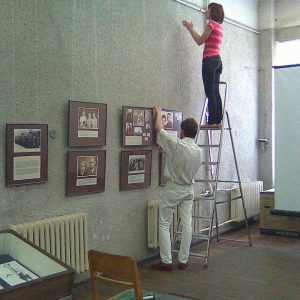 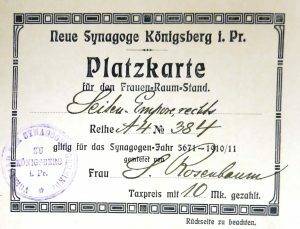 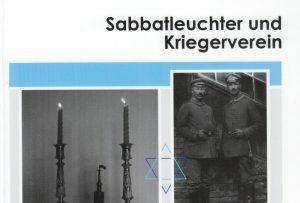 Preparing the next exhibition about Koenigsberg Jews during WW1, Interwar periode and emigration and extermination. 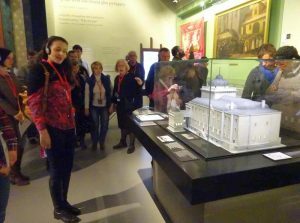 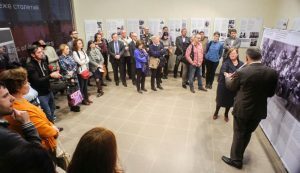 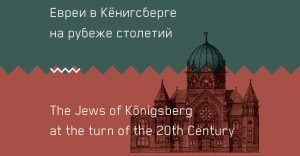 Feb 23 Delegation comming from Kaliningrad to visit POLIN Museum Warsaw, History of Jews in Poland. 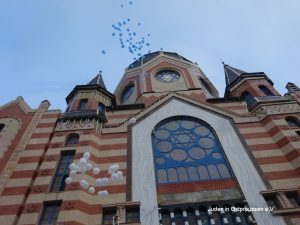 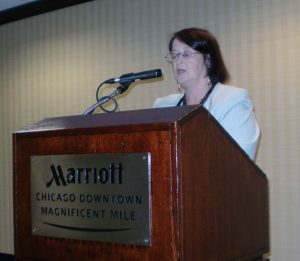 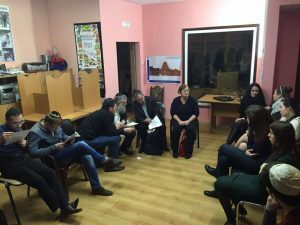 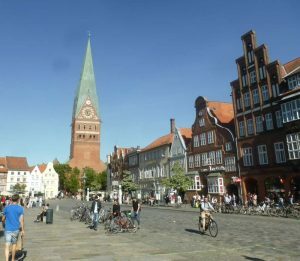 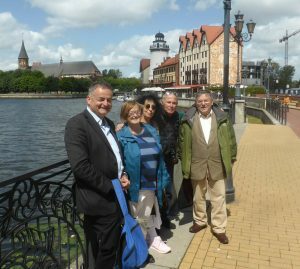 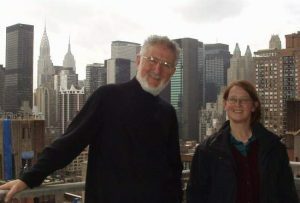 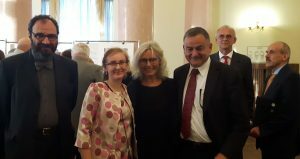 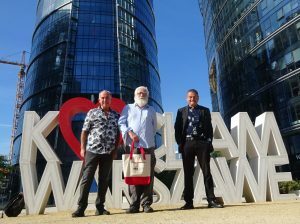 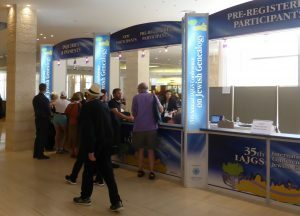 JUL 17 Touring Kaliningrad with famous descendents – Ofra – daughter of Israeli Composer Daniel Sambursky, Father Zionist activist in Koenigsberg and Author Manfred Fluegge. 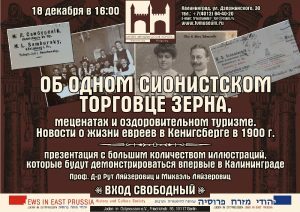 Kaliningrad, Russia 2017 March 6 in at the Hesed Office at Copernicus St.
JUL 16 Concert in Kaliningrad, songs of Werner Richard Heymann born in Koenigsberg with his daughter Elisabeth. 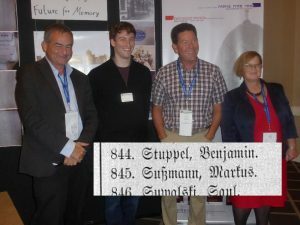 DEC Continuing visiting archives in Jerusalem (later Tefen, Tel Aviv, Olsztyn and Berlin). 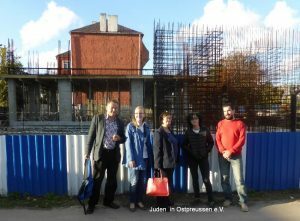 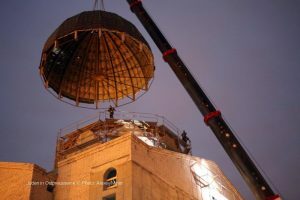 SEP Starting intensive historical research about Jews in Koenigsberg, meeting the Kaliningrad synagogue Construction Foundation at the construction site. 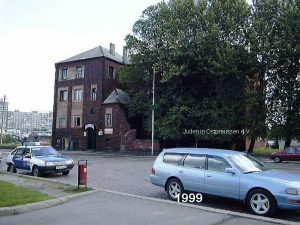 JUL Travelling the border zone to East Prussia – former Pale of Settlement (Russian Empire), Lithuania, incl. 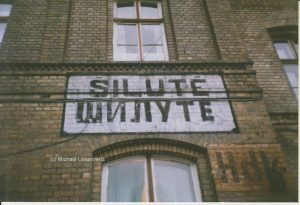 Klaipeda (Memel, Memelland). 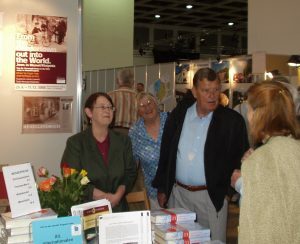 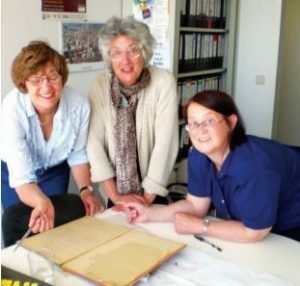 2009 sisters Margie Goldman and Anne Steiner from UK came to Berlin. 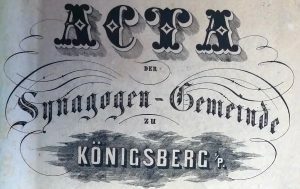 Background: Their Grand-Grandfather Adolf Funk was an important agent for the shipping company Hapag Lloyd in the wave of emigration from east to west in the 1850s. 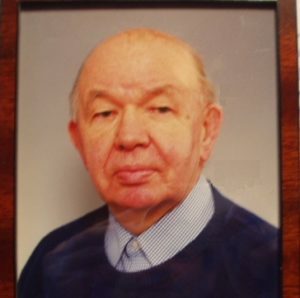 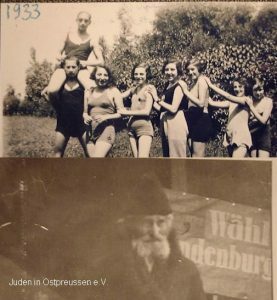 Horst Leiber from Wuppertal Germany was one of the very few former East Prussians who dealt with the history of the Jews in his homeland. 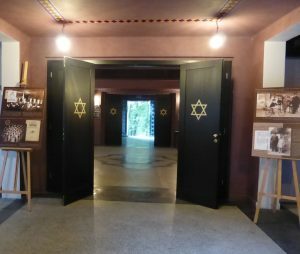 He was collecting material and had a large correspondence to eye whitnesses in Israel. 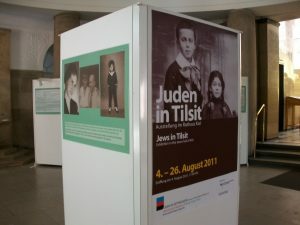 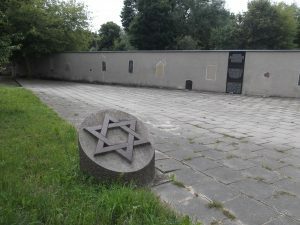 After his death the scientific legacy of him was transferred to the library of the Society Jews in East Prussia in Berlin. 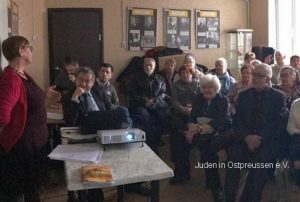 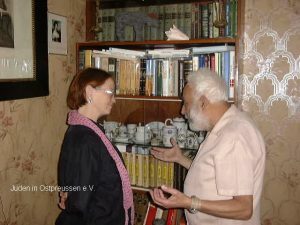 Meeting Isaak Rutman in Sowjetsk (Tilsit), he was a collector of German remains during communist area and his home was a museum. 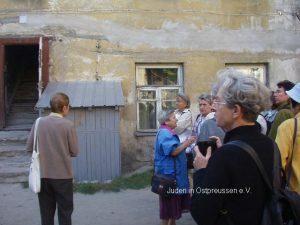 He survived as a Jew the war in Leningrad and collected stories about Jews in Tilsit. 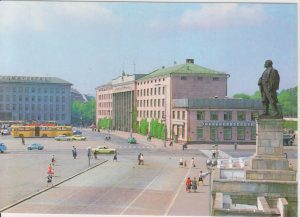 Visiting Kaliningrad (Koenigsberg) after the Fall of the Iron Fence, Postcard with the Northern Railwaystation, still with a Lenin Memorial.